Views on attention have undergone continuous evolution since the early work of the 1950s. Since that time, the questions asked about attention, consciousness and control have changed, and evidence drawn into the debate comes not only from experimental psychology, but also from neurophysiology, neuropsychology and computational modelling. As evidence has accumalated, theories have changed and fundamental assumptions have been challenged. Rather than asking "What is attention? ", people now consider "Why does attentional behaviour appear the way it is?" This textbook charts the development of these ideas, through the examination of a variety of tasks considered to involve attentional behaviour, together with evidence from studies of patients, neurophysiology and cognitive modelling. 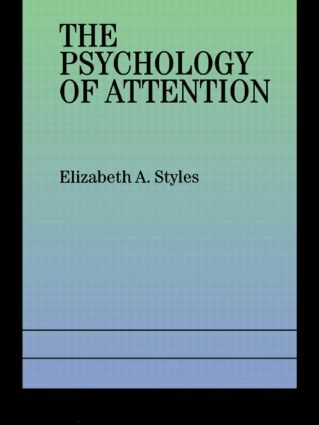 ; After a consideration of what attention might be and whether it is a cause or an effect, this book describes and discusses work on selective auditory attention. It also deals with: problems of divided attention, task combination, automaticity and intentional control; selection for action; conscious and unconscious processing in both normal experimental subjects and neuropsychological patients; and neuropsychological and computational aspects of attention.